In the UK, we experience around 106 days of rainfall on average each year, leaving just 259 days to make the most of our gardens! Gardening and spending time in your own outdoor space are proven to carry both physical and mental health benefits, but with more than 100 days lost to rain, how can you increase your time outdoors? Read on to find out our favourite ways to make the most of your garden year-round. If you enjoy gardening, you probably also enjoy looking at the results of your hard work – and what better way to do this than relaxing in a sheltered seating area, which features a canopy and all-weather furniture such as fabric outdoor sofas. 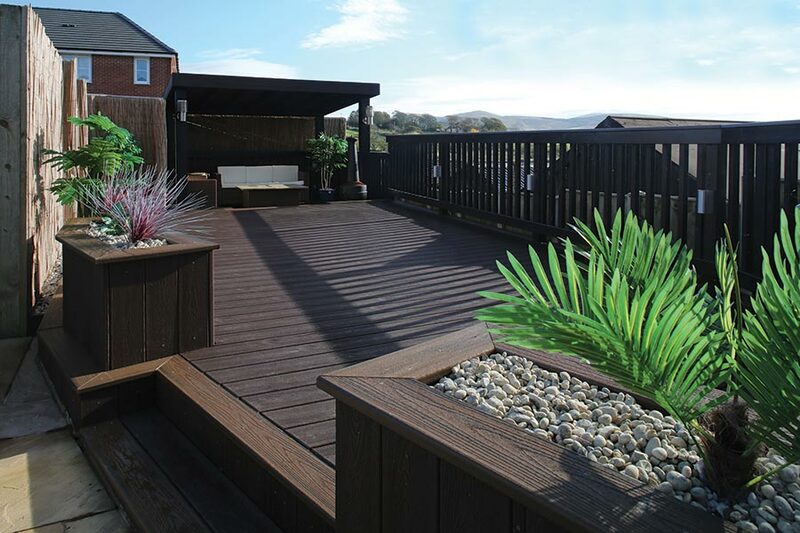 Unlike timber decking, Trex decking won’t be subject to mould or mildew so your seating area is family-friendly even in wetter conditions rain, and if you’d like to enjoy your space in the cooler weather, you can install a gas or electric patio heater to warm up the space. Just make sure it’s not under the canopy, and take care it doesn’t overheat. Want to spend more time outdoors, with less maintenance and more relaxation? Building a hot tub in your garden will allow you to let your hair down throughout the year, especially with a canopy built over the space to protect you from rain, sleet and snow. 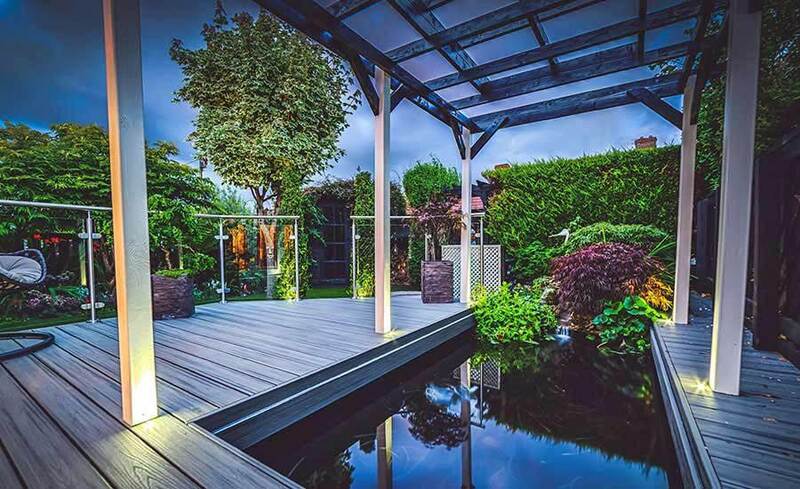 There are hot tubs available to suit all budgets, but to truly fit in with your garden’s style a permanent fixture within quality decking is ideal. Our 2018 Arbordexperts Awards winner North Spas have plenty of stunning examples! When you’re creating an all-weather garden, you want to be able to enjoy flowers and plants all year round. To make sure you can, in addition to summer favourites, focus on flowers which bloom in winter and spring such as pansies, primroses and forget-me-nots, as well as plants which can shift between seasons with minimal maintenance, including conifers and ferns. A walkway in your garden which is accessible throughout the seasons can make all the difference to how you can use your outdoor space. There are a number of styles to choose from for a garden pathway, from sinking stepping stones into grass to a complete area made up of composite deck boards. If your priority for your garden is growing produce, a hot tub or seating area may not appeal as much as a greenhouse. Garden greenhouses are excellent places to cultivate fruits and vegetables no matter the season, giving you a space to exercise your green fingers. For more inspiration on how to make the most of your garden throughout the year, check out our Pinterest boards.